Masies Pride completed her journey from cart-wrecker to race winner at Wingatui on Monday. The tough slog up the rising Wingatui straight was not enough to stop the eight-year-old old scoring her first victory at her 28th start. Earlier in her career, just getting to the races was considered a major achievement for the Amber Hoffman-trained mare. In her early education, Masies Pride lacked one key fundamental skill required for harness racing. She hated having a cart on. “She was in the retirement paddock for four years, she had a few problems with carts,” Hoffman said. “She just hated having one on and she wrecked a few. Few would have known of Masie’s Pride cart-wrecking habits and quirky character when she trotted faultlessly up the Wingatui straight. 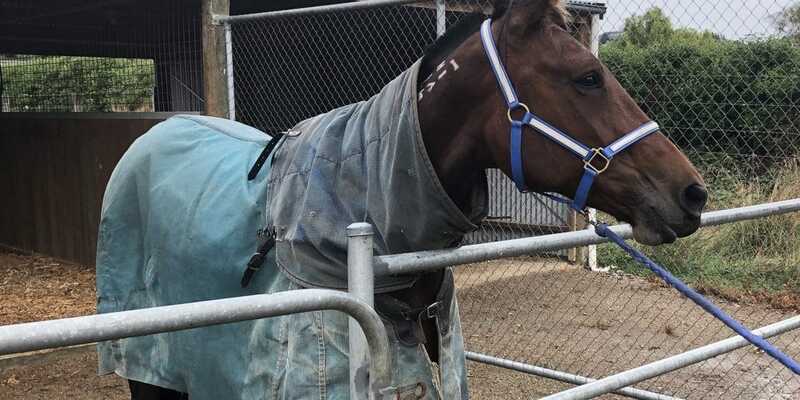 Hoffman said a key part of that was the work Deane Stapleton did in ironing out the trotter’s problems after her four-year stint in the retirement paddock. “Deane did a lot of work with her before she came to me. Masies Pride eventually made it to the races for her owner and then trainer, Warren Stapleton, as a seven-year-old, last year. Hoffman then looked after the horse for a handful of starts and they got on so well, the trotter has stayed at her stable since. During her time at Waikouaiti, Masies Pride had built consistent form without ever looking like a certain next-up winner. That all changed when she hit the rain affected Wingatui track on Monday. “She had been really consistent, so she deserved a win. Her Wingatui victory would be Masies Pride’s last race start now that she has finally notched her elusive first victory. The Brylin Boyz mare will head to the broodmare paddock and be mated in the spring.